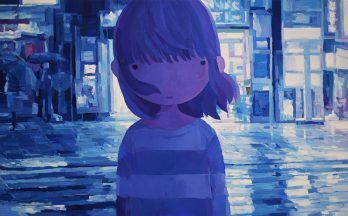 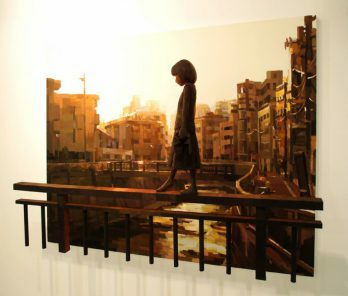 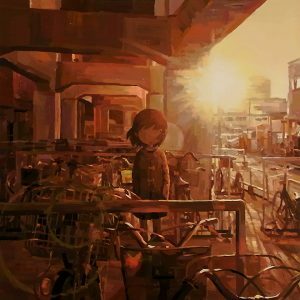 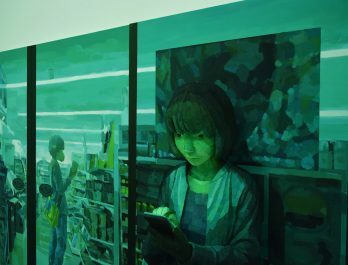 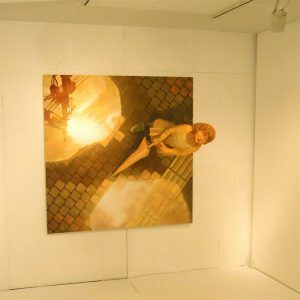 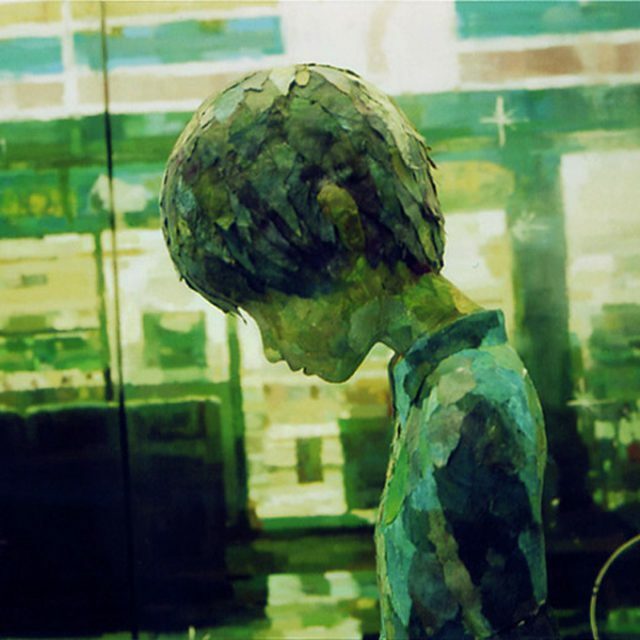 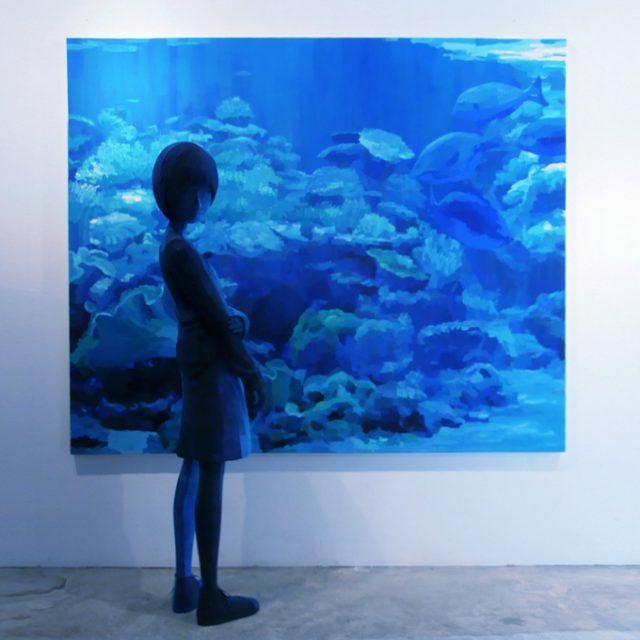 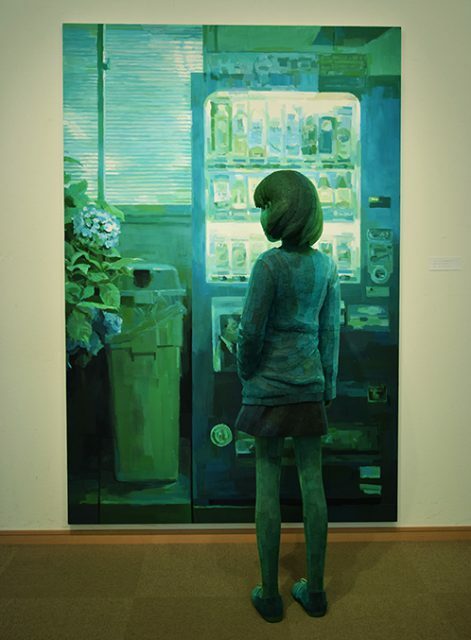 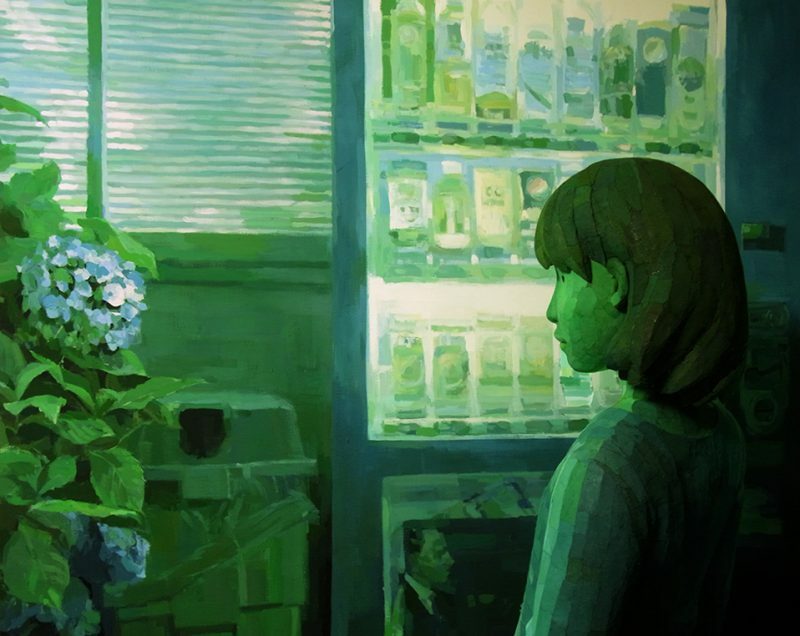 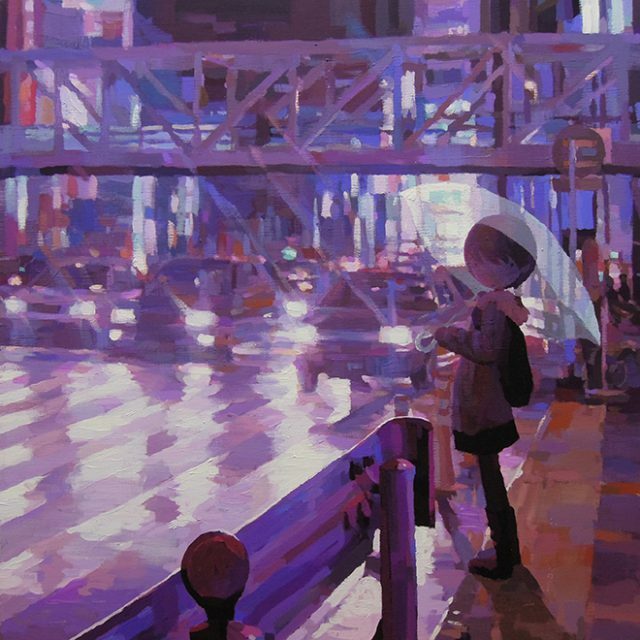 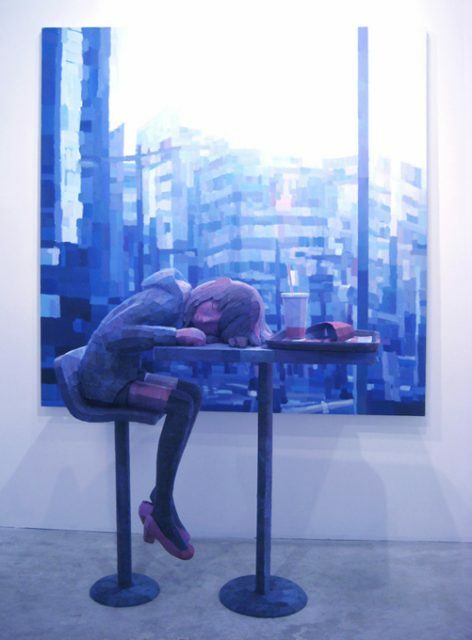 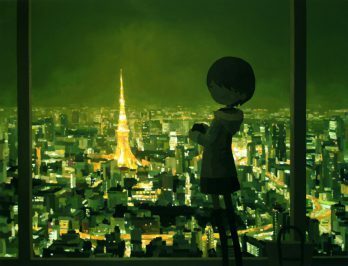 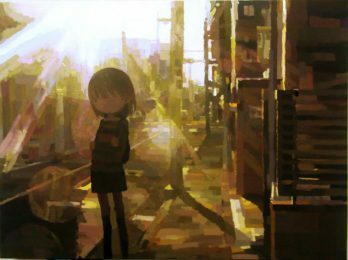 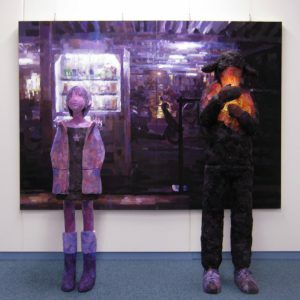 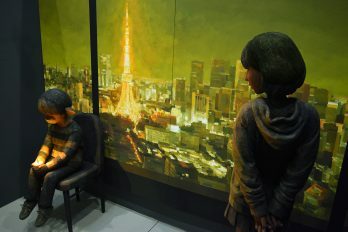 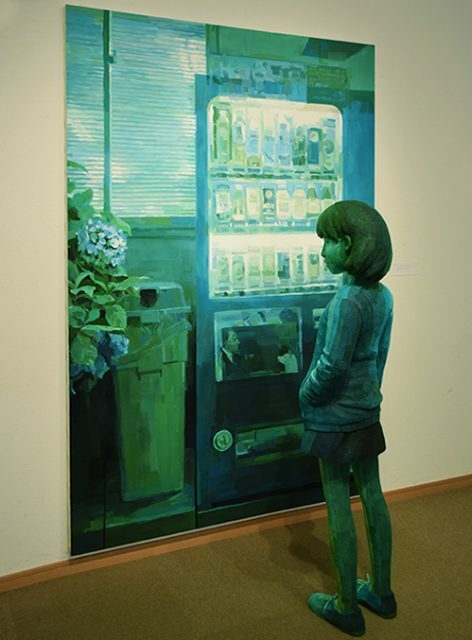 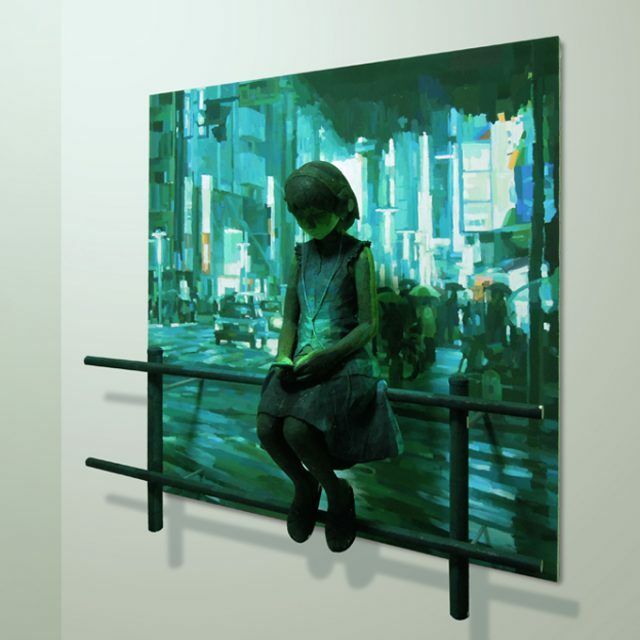 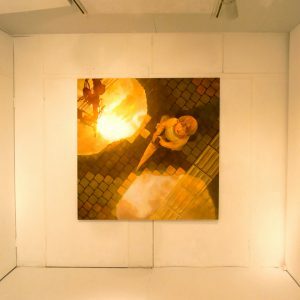 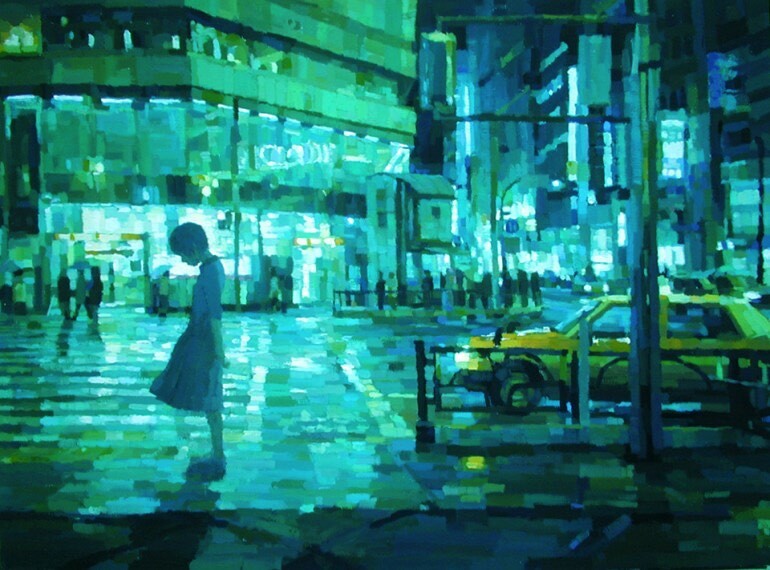 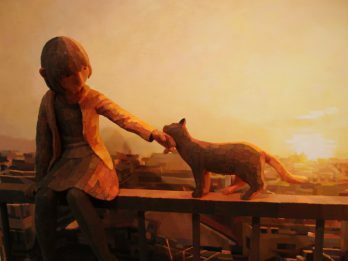 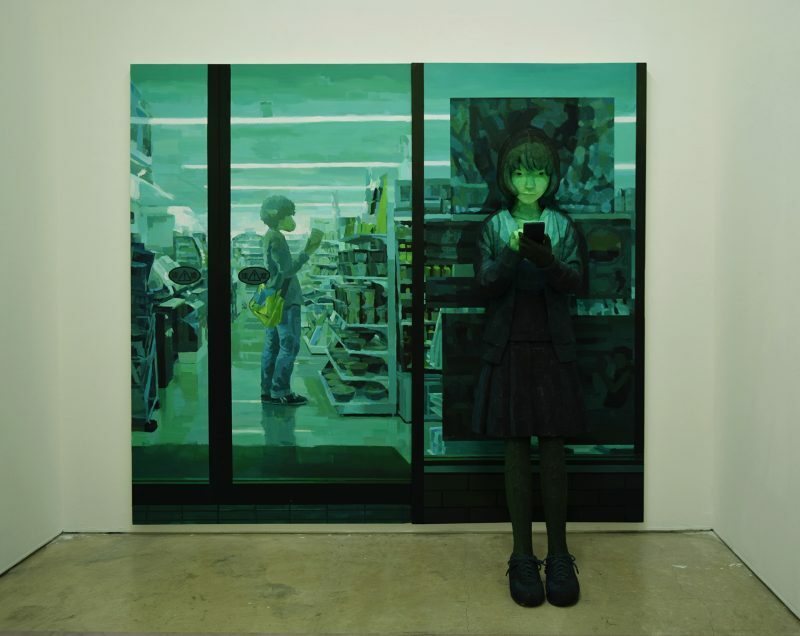 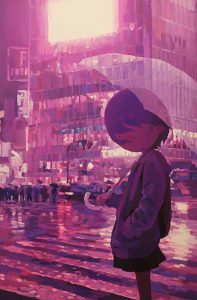 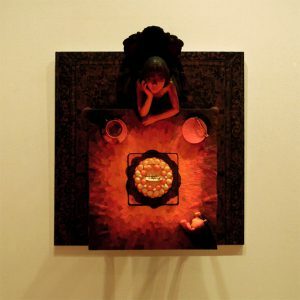 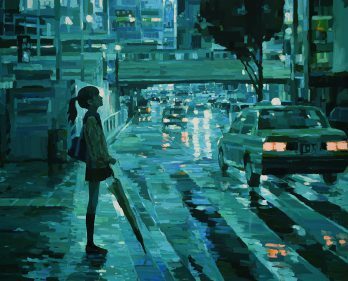 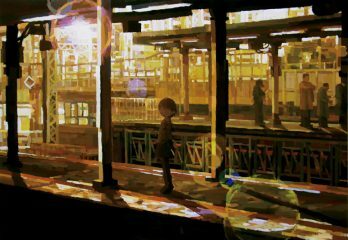 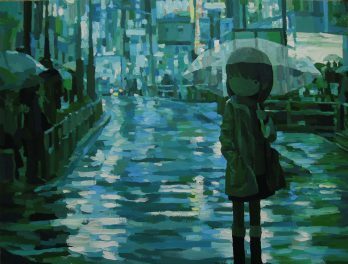 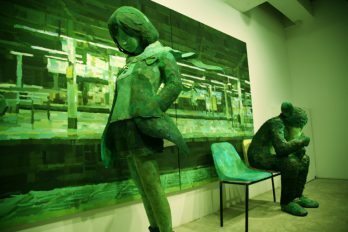 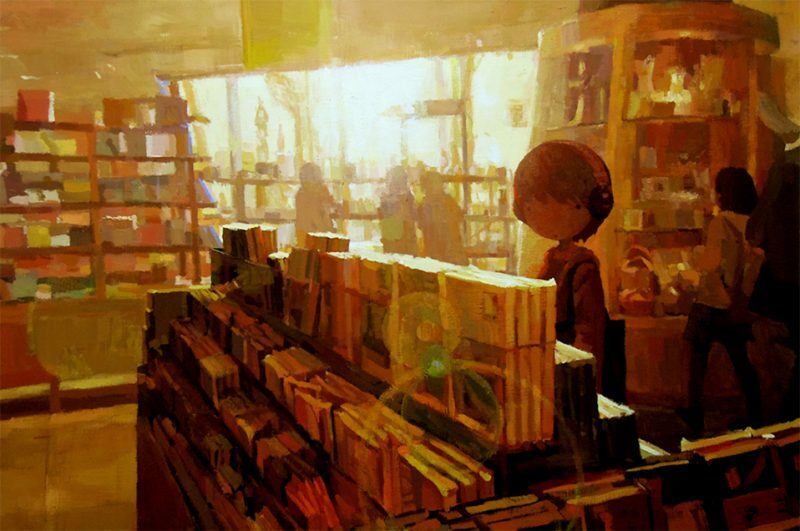 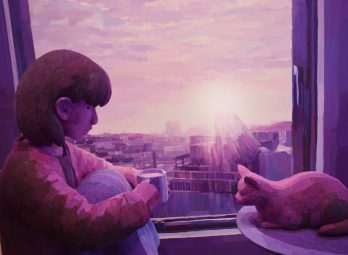 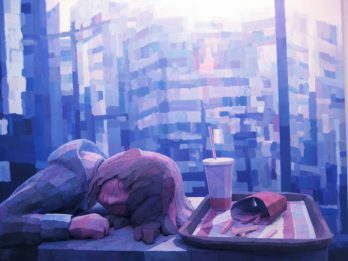 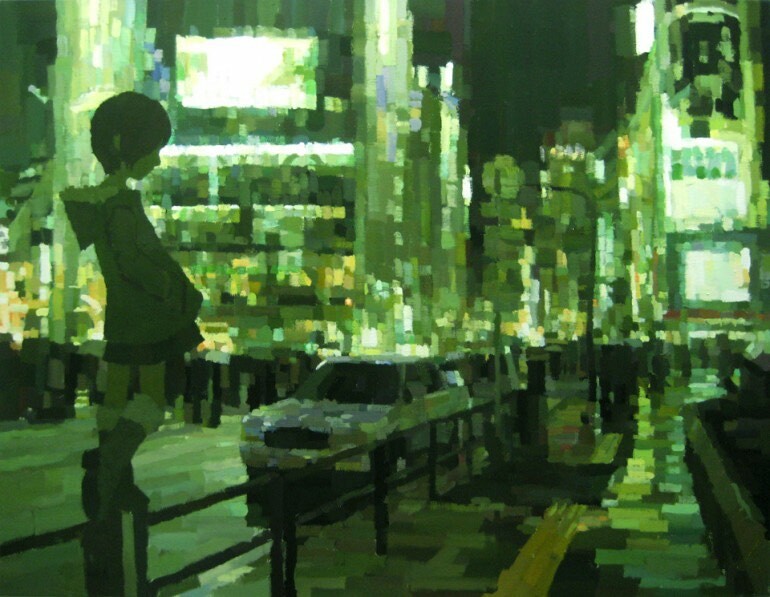 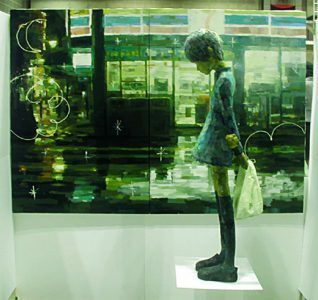 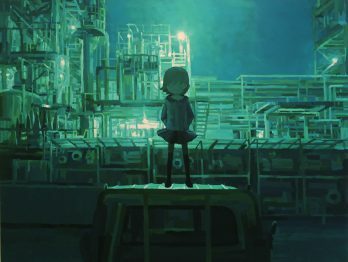 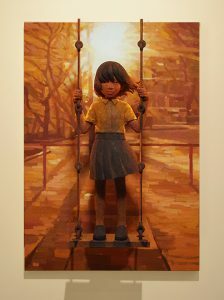 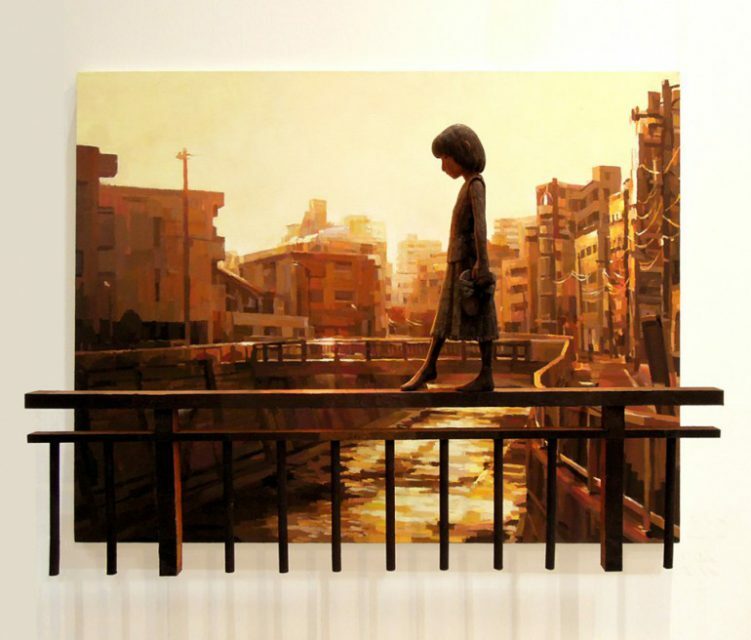 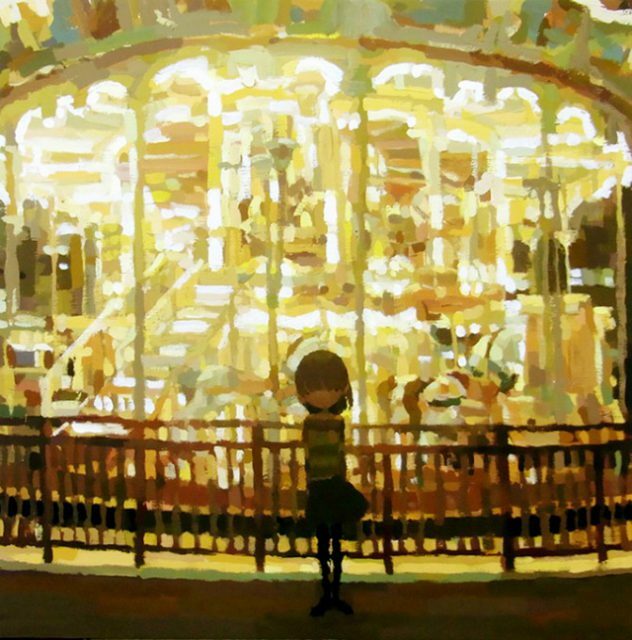 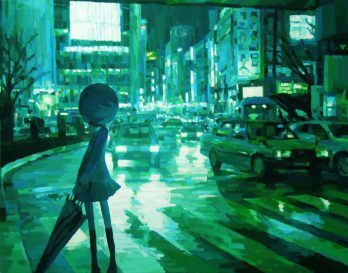 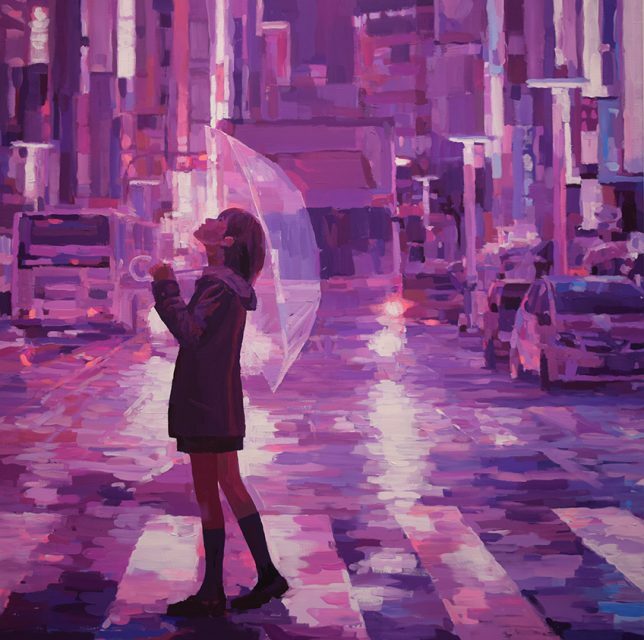 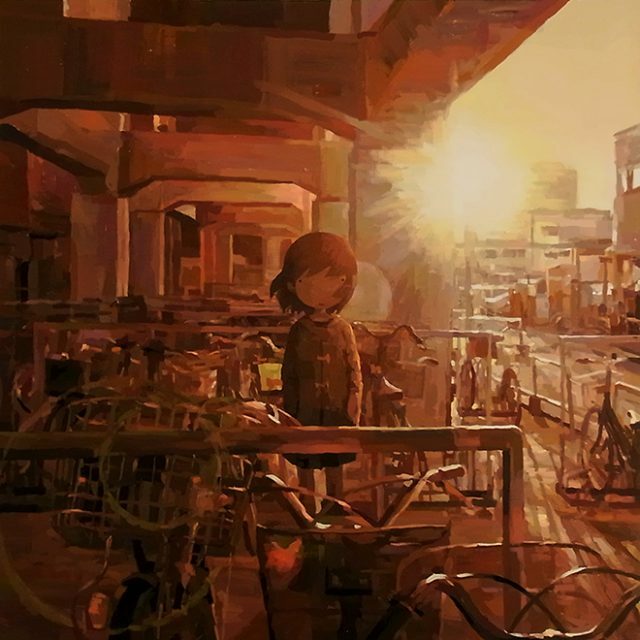 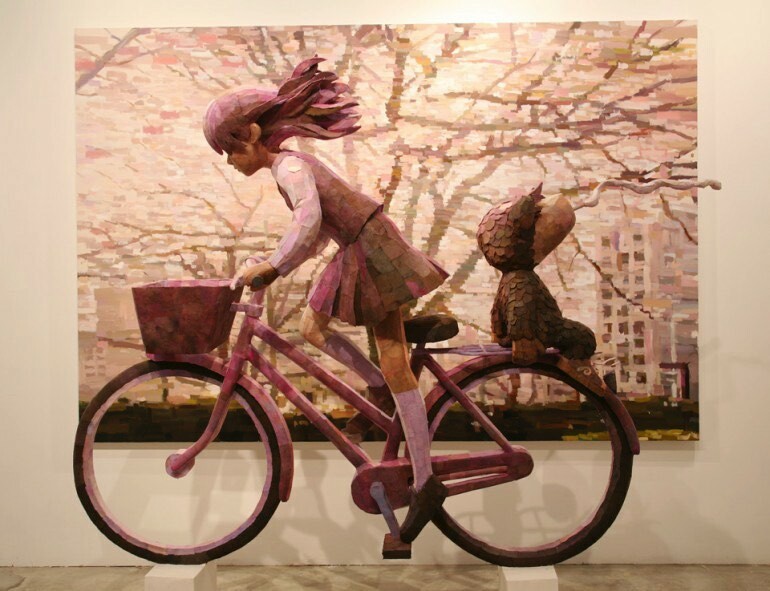 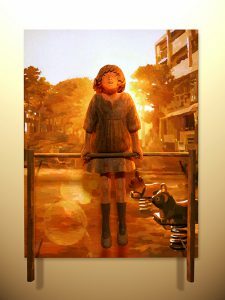 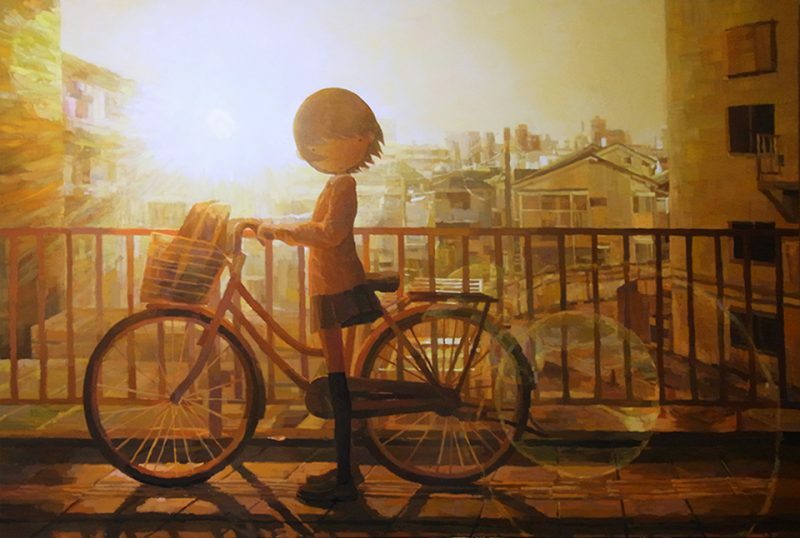 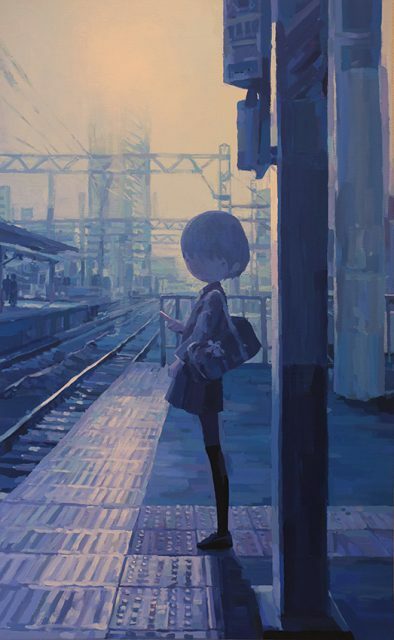 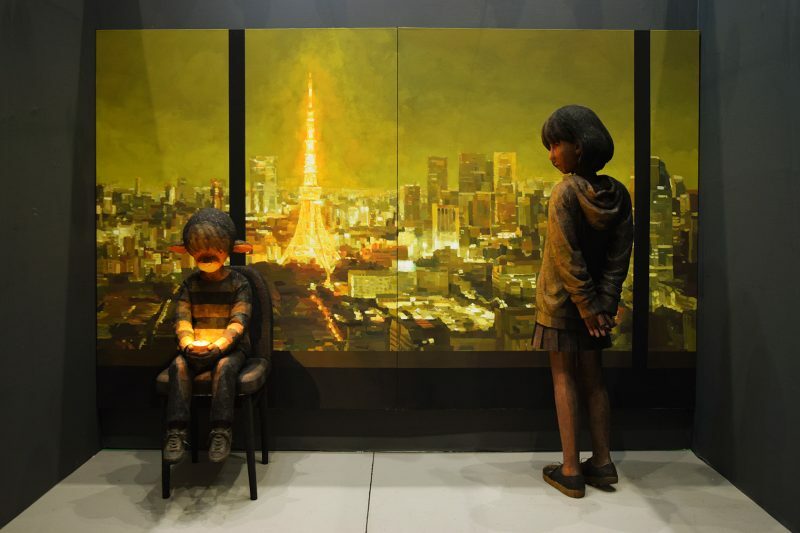 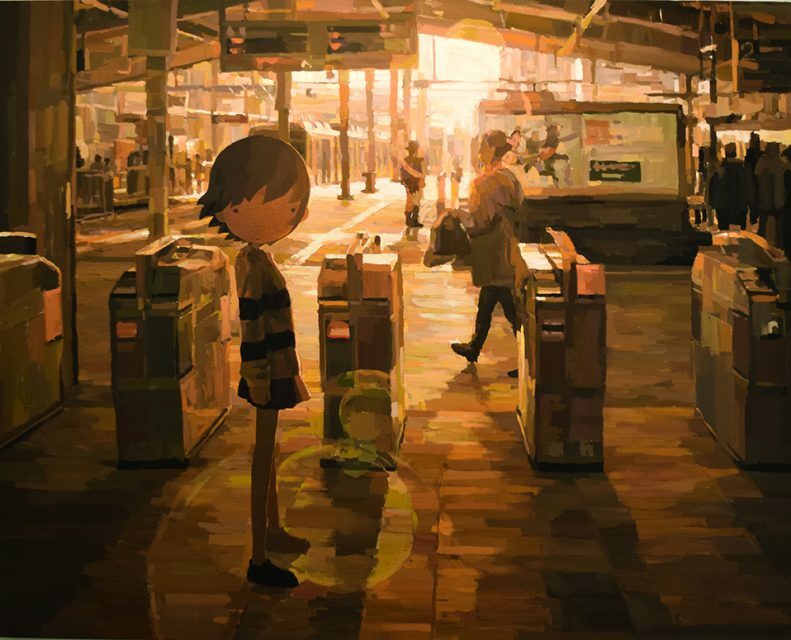 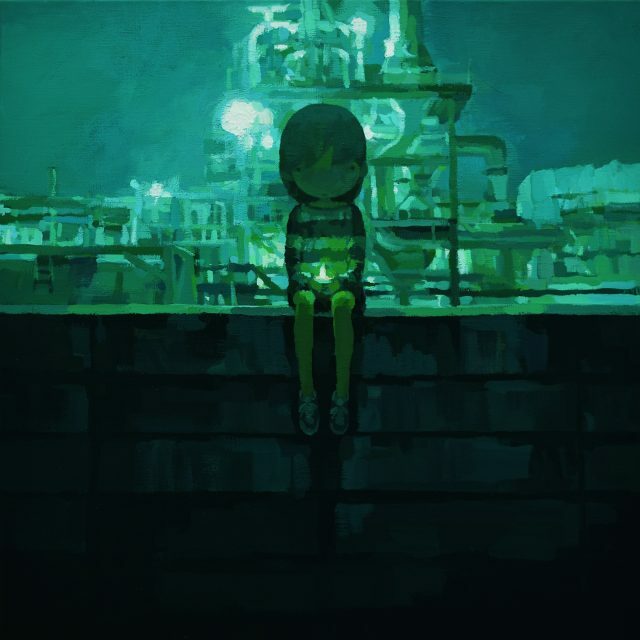 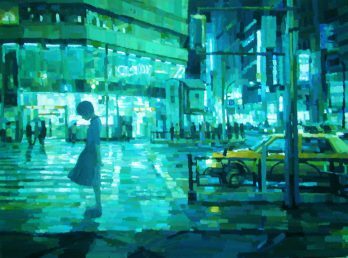 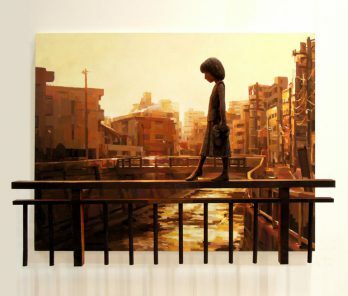 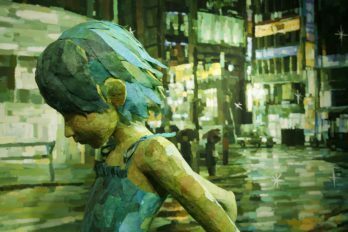 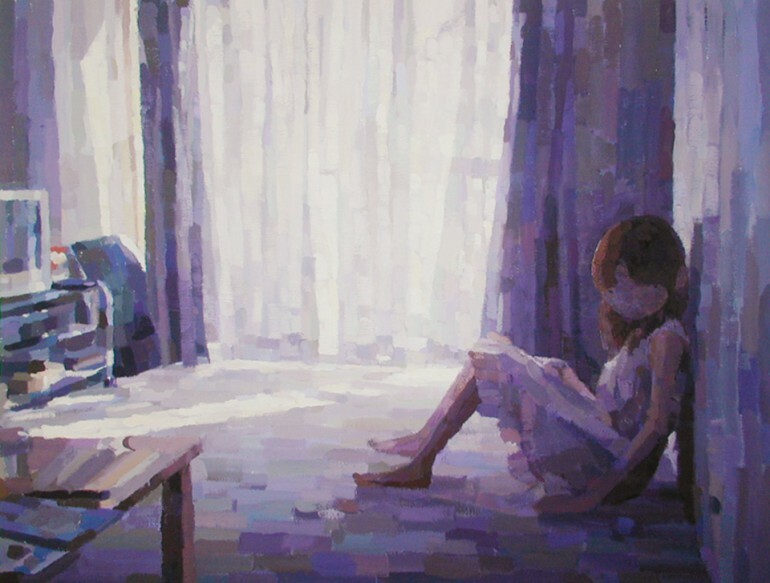 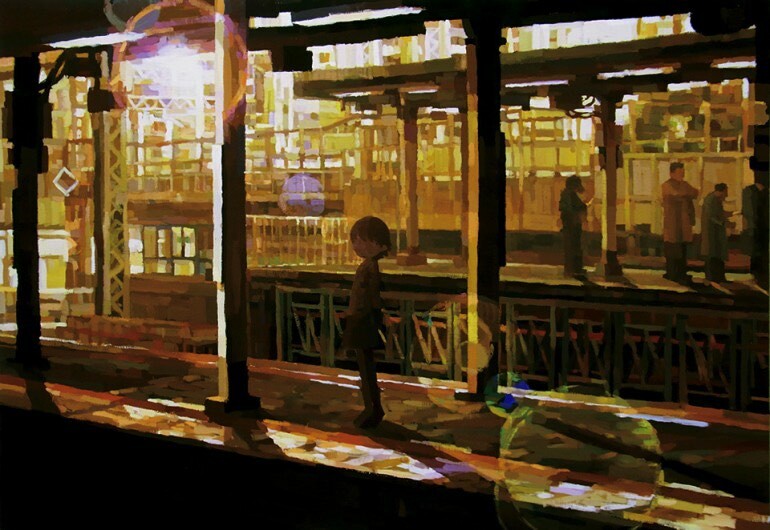 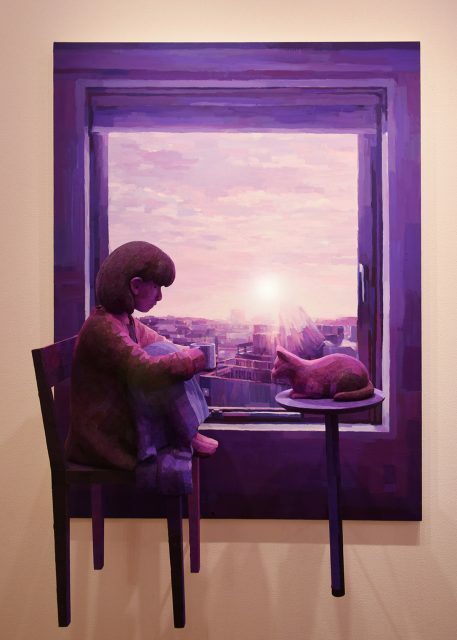 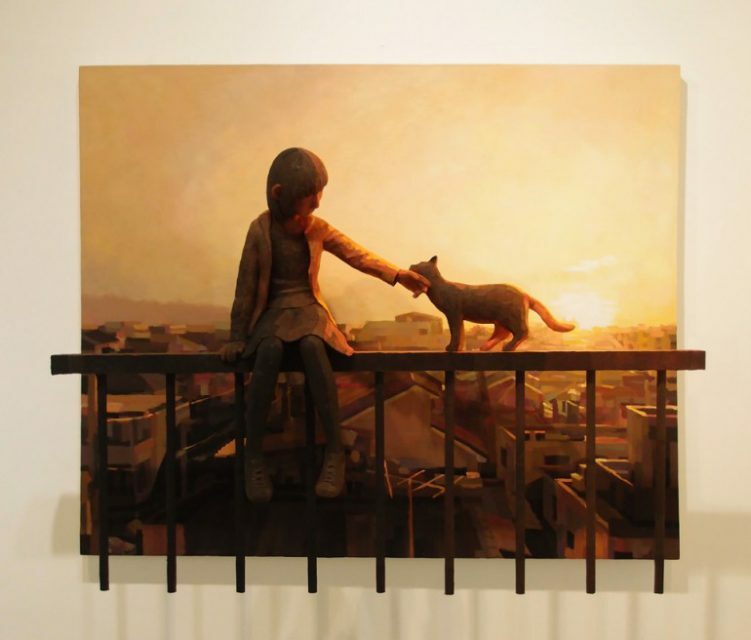 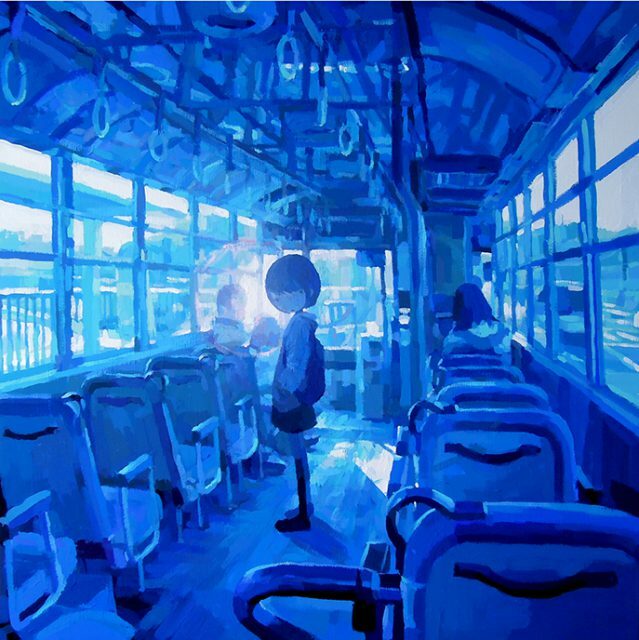 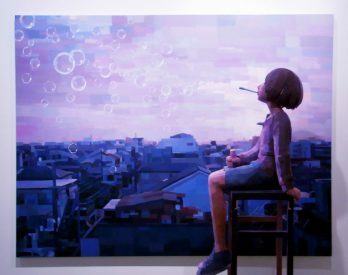 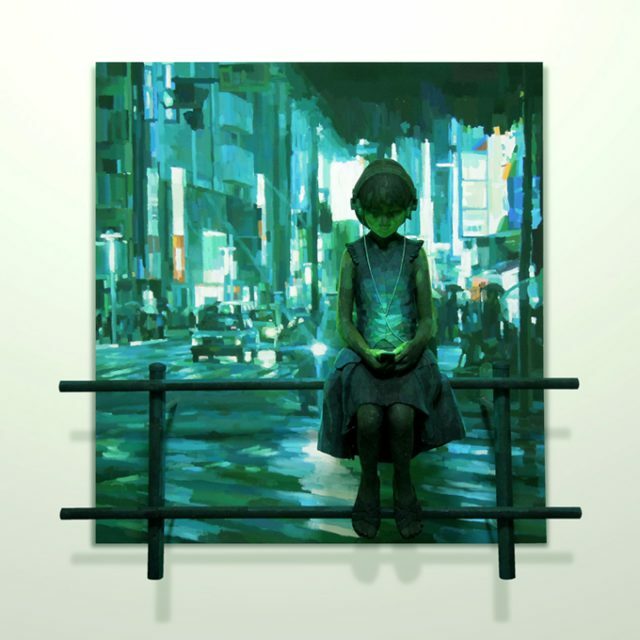 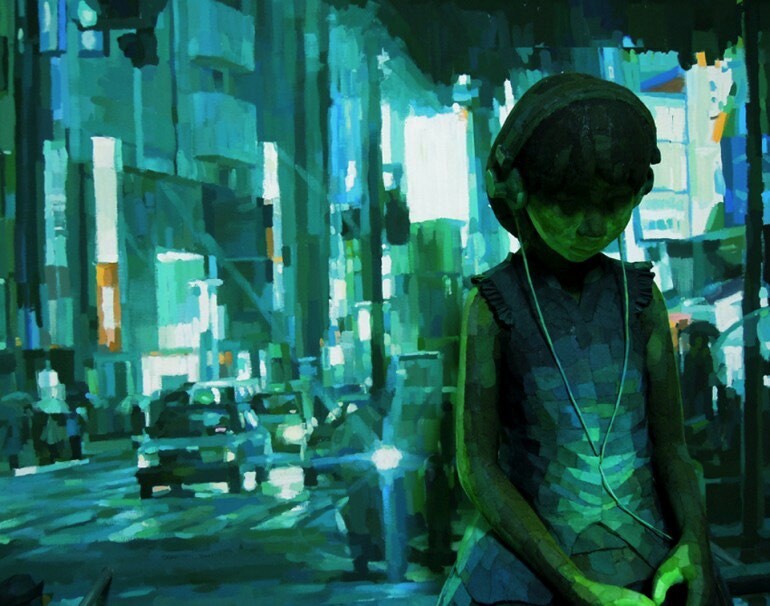 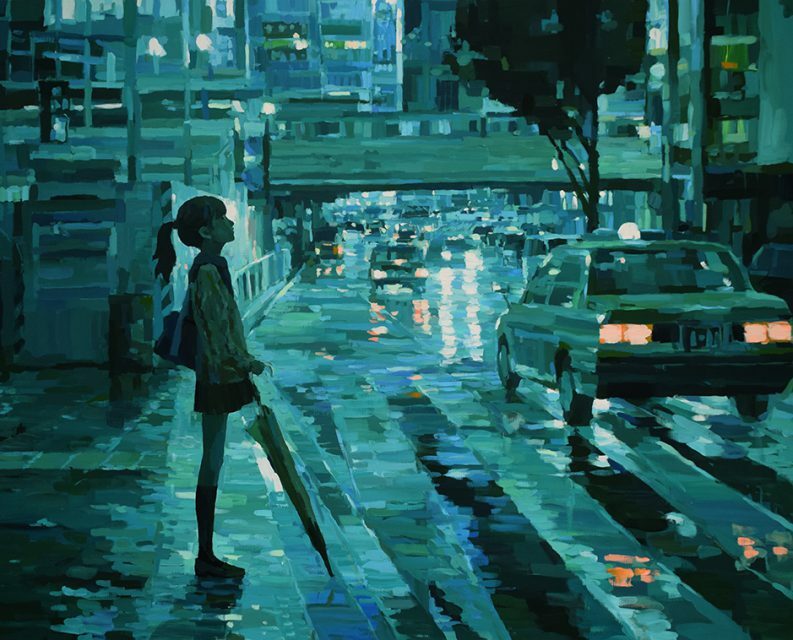 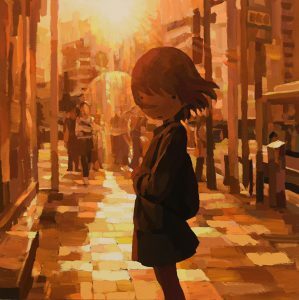 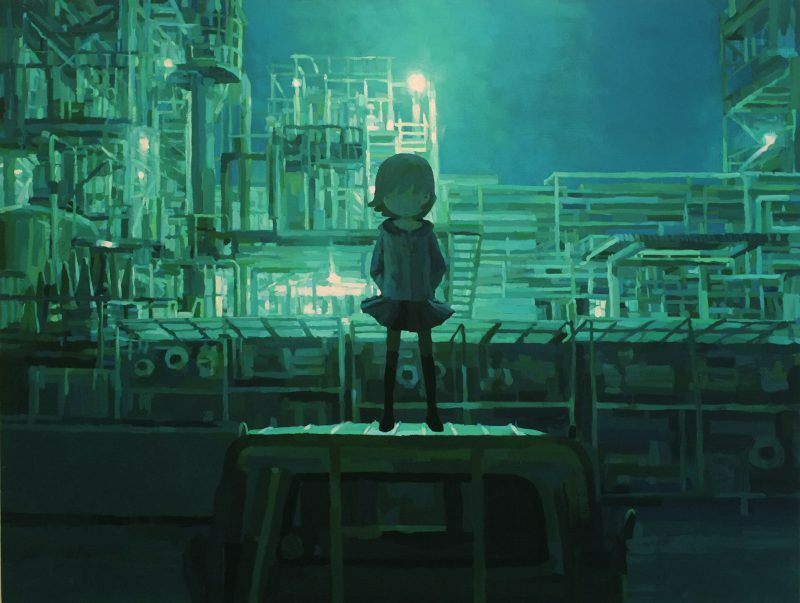 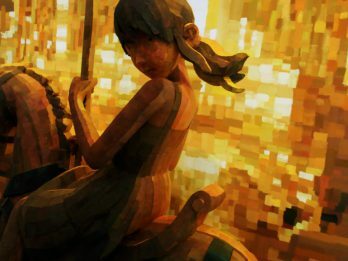 Shintaro Ohata (born 1975, Hiroshima, Japan) is a painter who is known to create artworks that depict little things in everyday life like scenes of a movie. 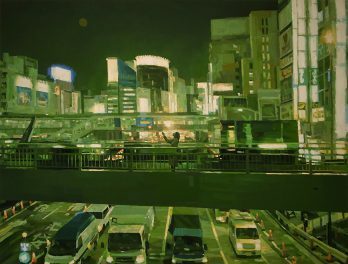 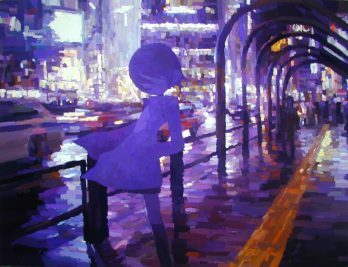 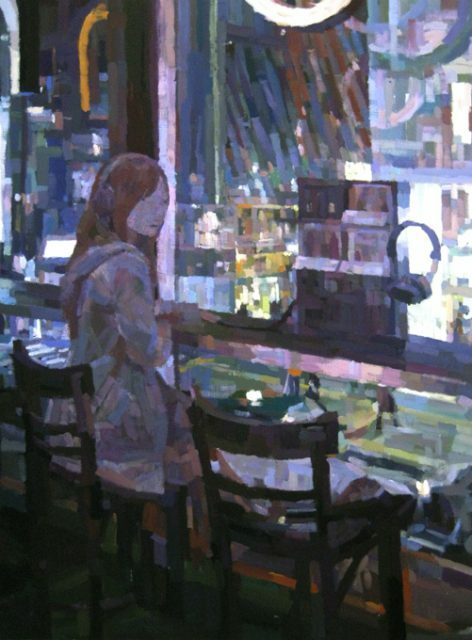 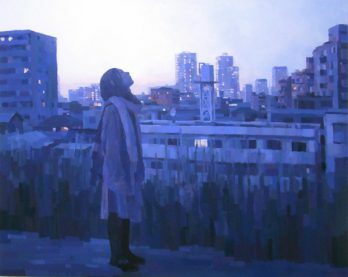 He captures every kind of light in our daily lives from sunset/sunrise to artificial lights in cities, and records them in his painting.This strong and impeccable light expressions dramatize ordinary sceneries, and give a very unique touch to his works. 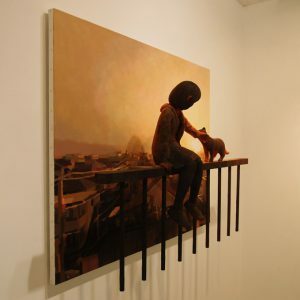 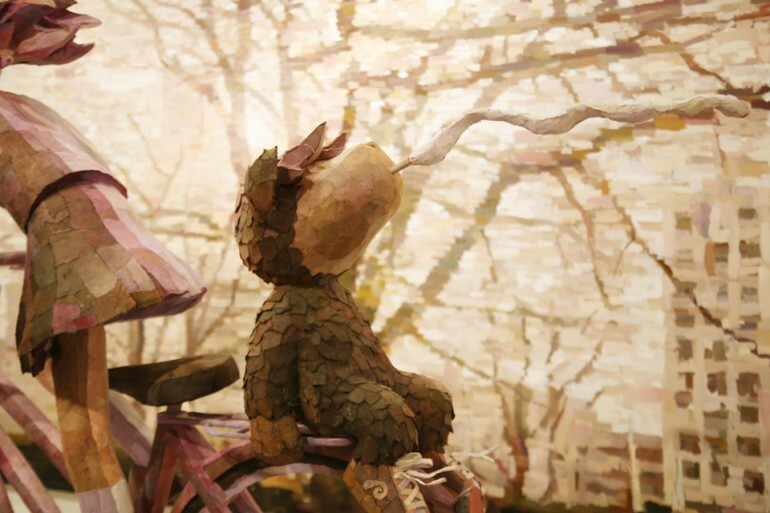 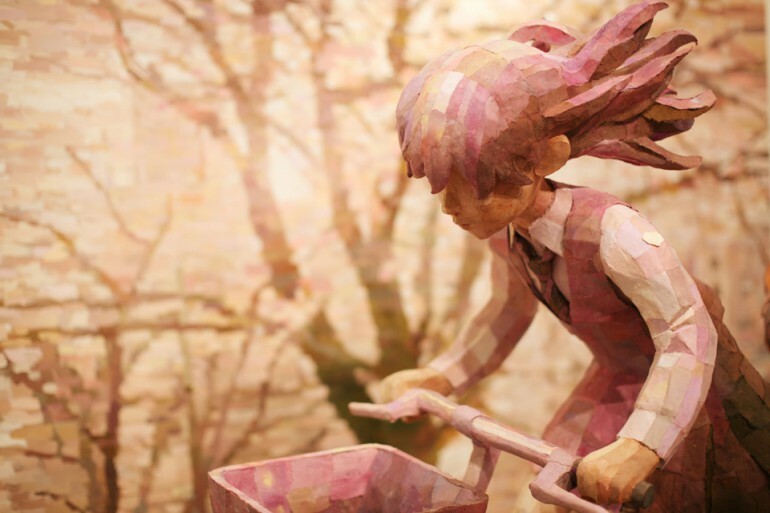 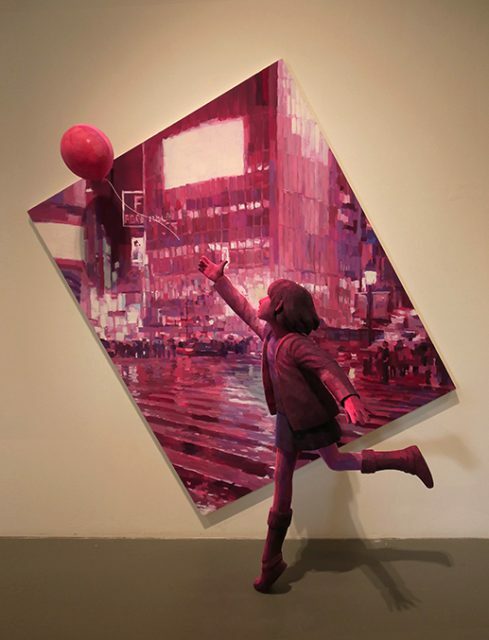 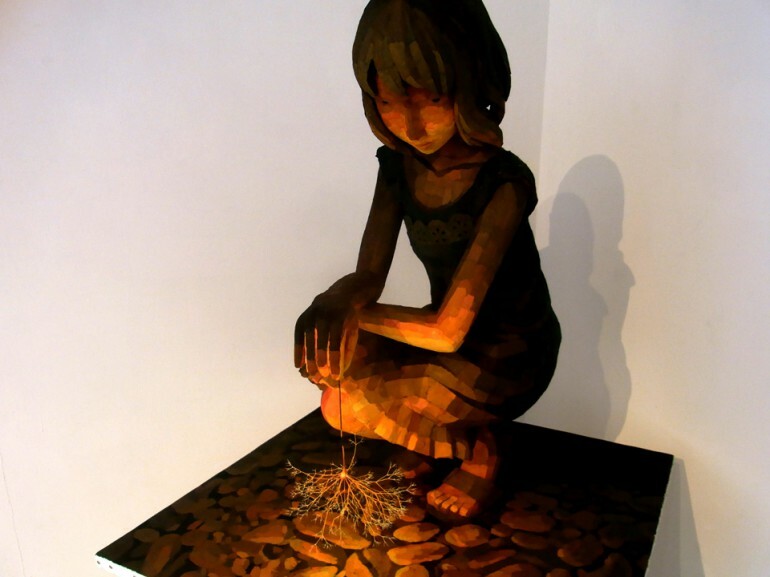 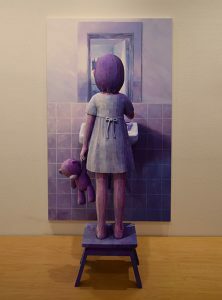 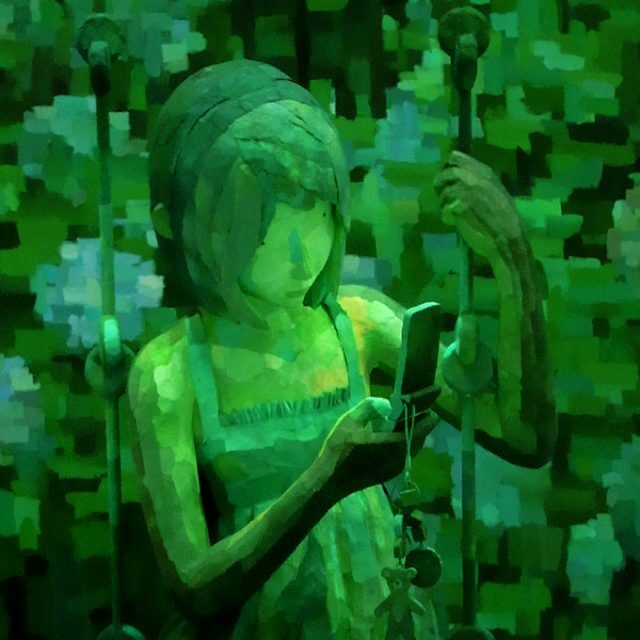 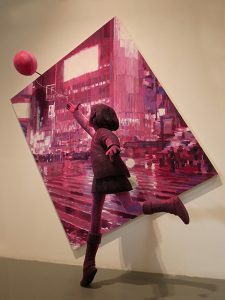 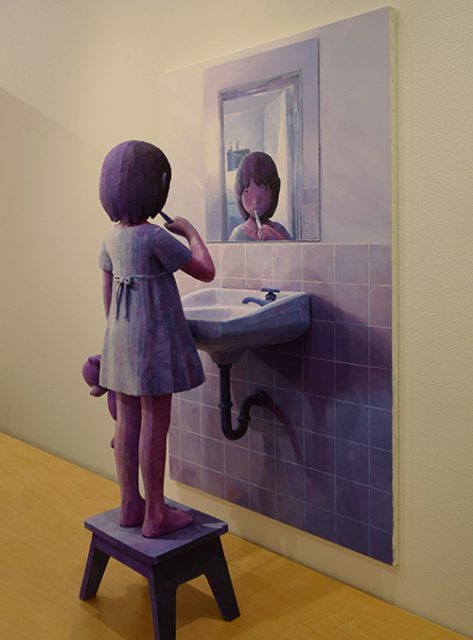 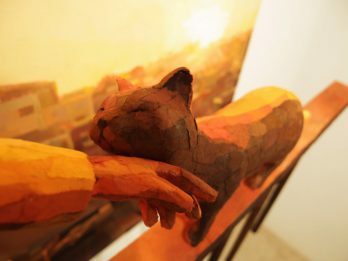 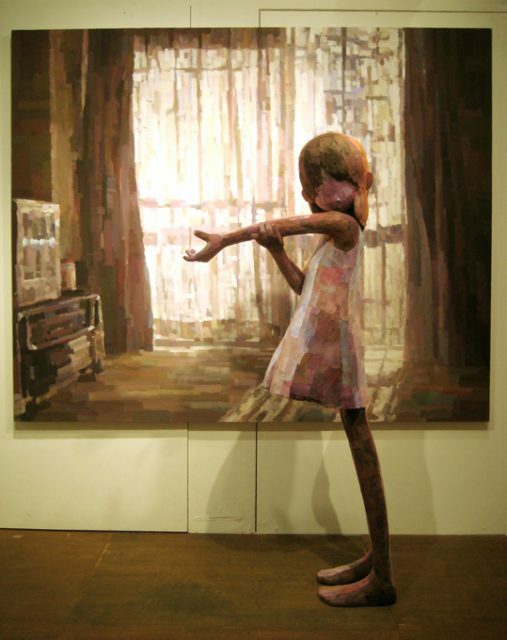 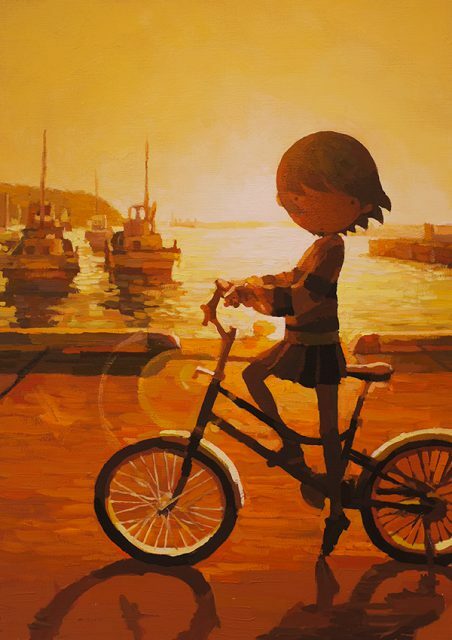 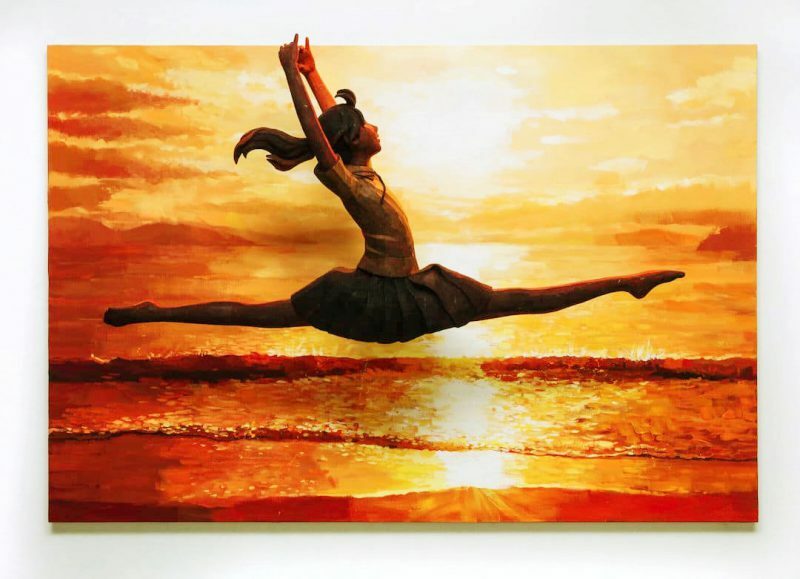 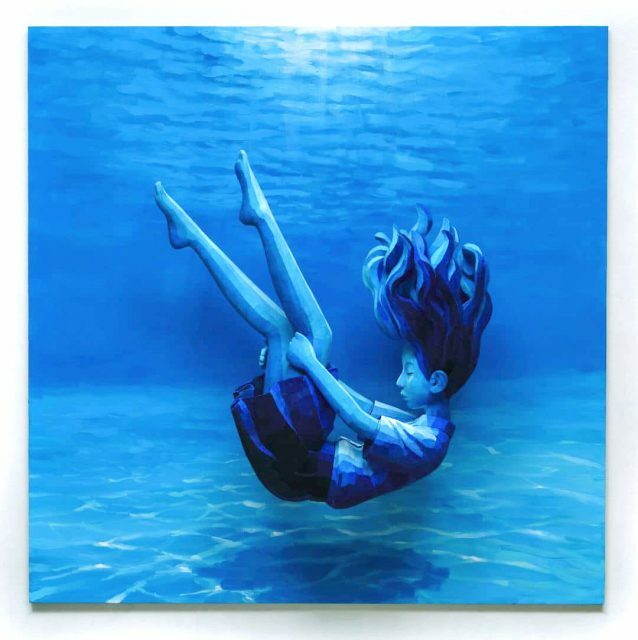 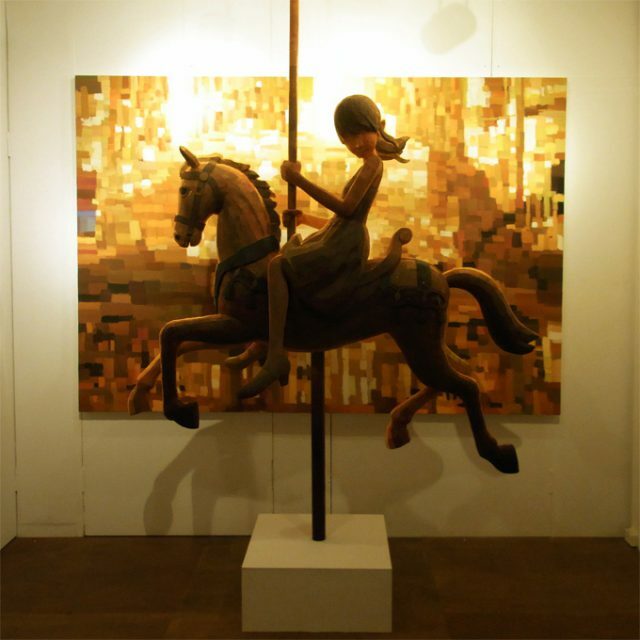 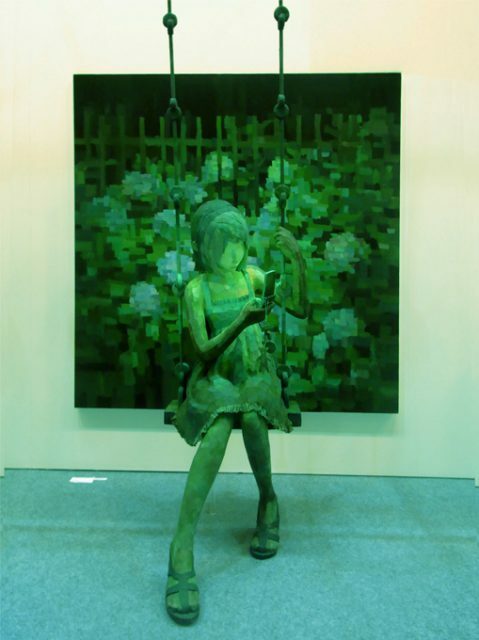 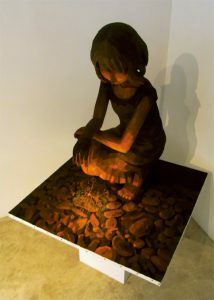 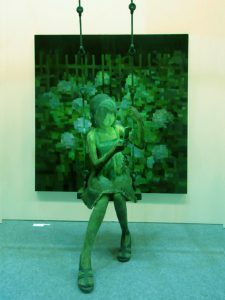 The artist is also renowned for his unique style that he places sculptures in front of paintings and combines 2D and 3D worlds. 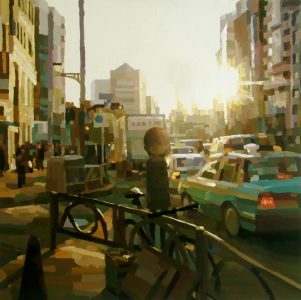 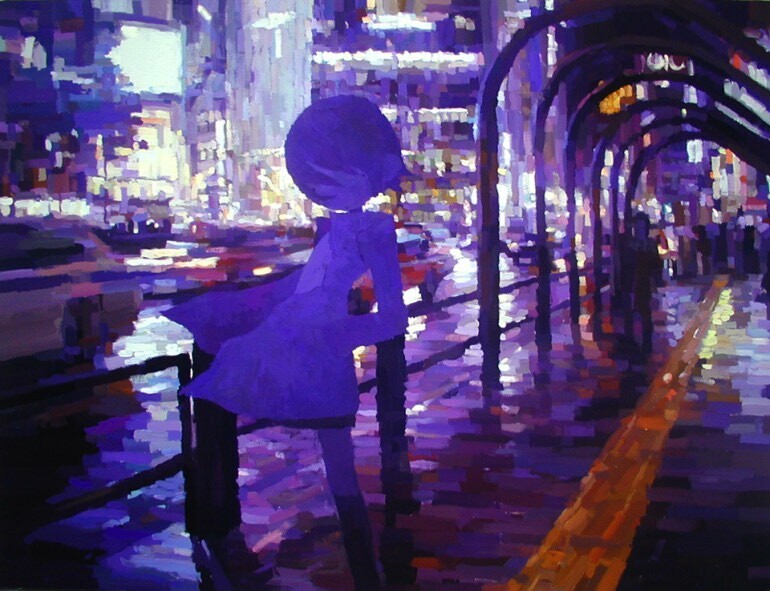 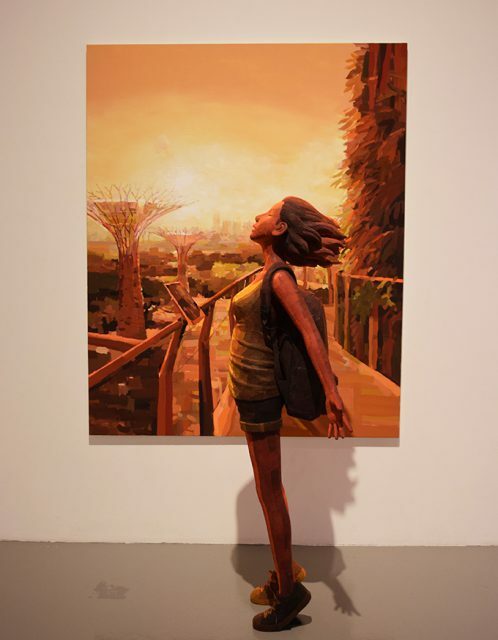 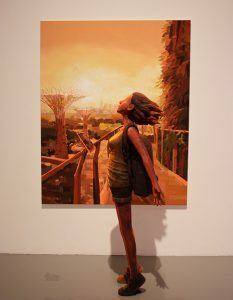 "By doing so, I believe that the viewers could feel the atmosphere of my works more lively and dynamically. 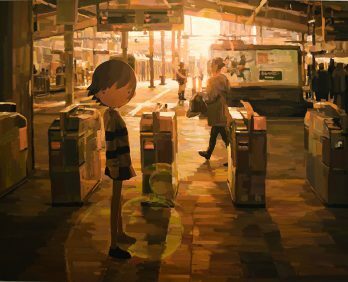 I had been seeking for a way to give more realistic feel on my piece without changing my painting style, and then I got inspired by the painting in the backgrounds of film and theatre. 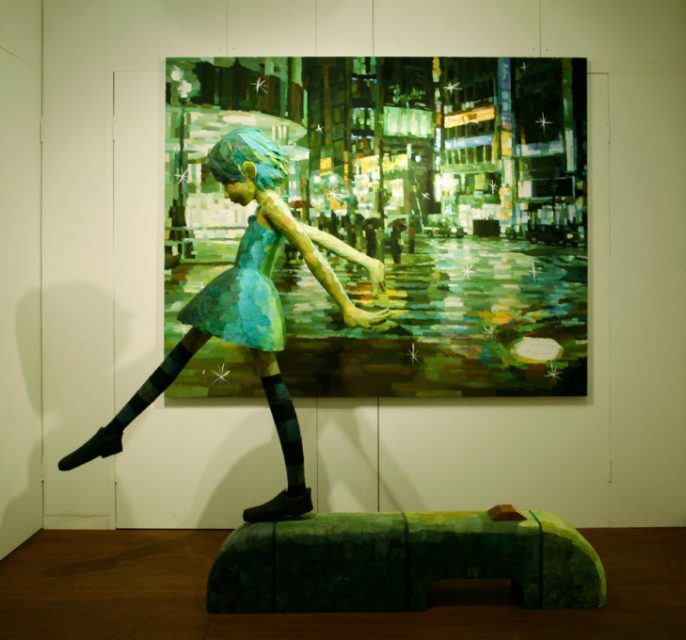 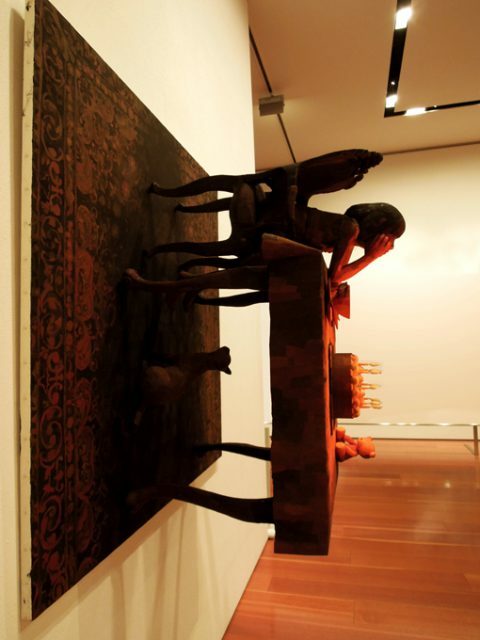 This was when I came up with the idea of making sculptures popping out of paintings." 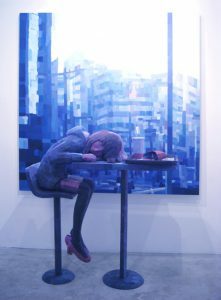 says the artist. 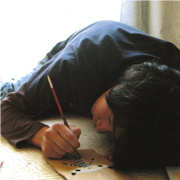 This became one of the most significant turning points of his career. 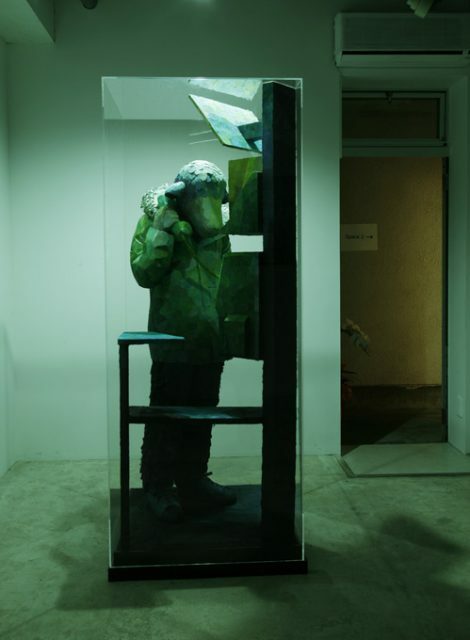 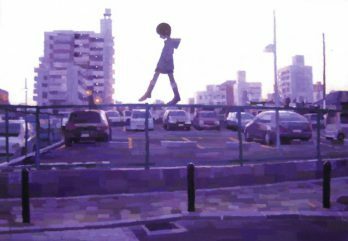 Ohata's works have been well received and appreciated by large public beyond borders. 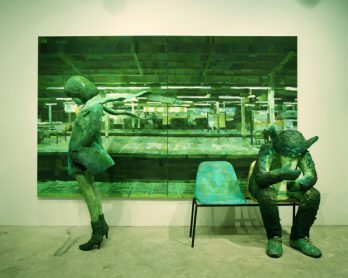 “20 YEARS”, Ginat Robot Gallery, LA, U.S.A.
NADA Art Fair, Miami, U.S.A.